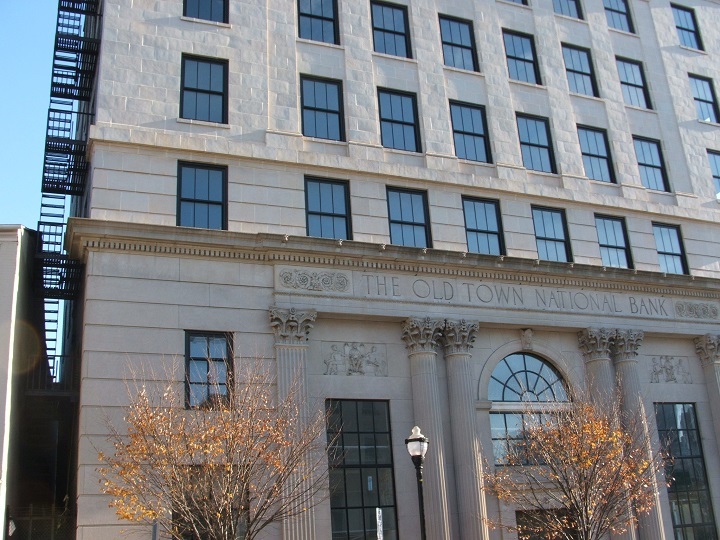 Old Town Bank Hotel - Min Engineering, Inc.
Min Engineering, Inc. provided mechanical, electrical, plumbing, and fire protection engineering design and construction administration services for Old Town Bank Hotel in Baltimore, Maryland. The project included 80 Guestroom, meeting rooms, a great room, and back-of-house administration and support areas. Design included variable refrigerant volume (VRV) multi-zone D-X cooling and heating system. Space heating and cooling for all public areas was provided with energy recovery ventilator systems. Design also included energy efficiency plumbing fixtures for all guest and public bathrooms, and two large commercial clothes washers and dryers for hotel laundry room. Electrical system design included new power services, emergency generator, lighting, power distribution, telephone/data/CATV wiring, and fire alarm system. Fire protection system included emergency powered fire pump, jockey pump, ATS, standpipe, and wet pipe sprinkler system.